Hey Ninja Warrior fans! 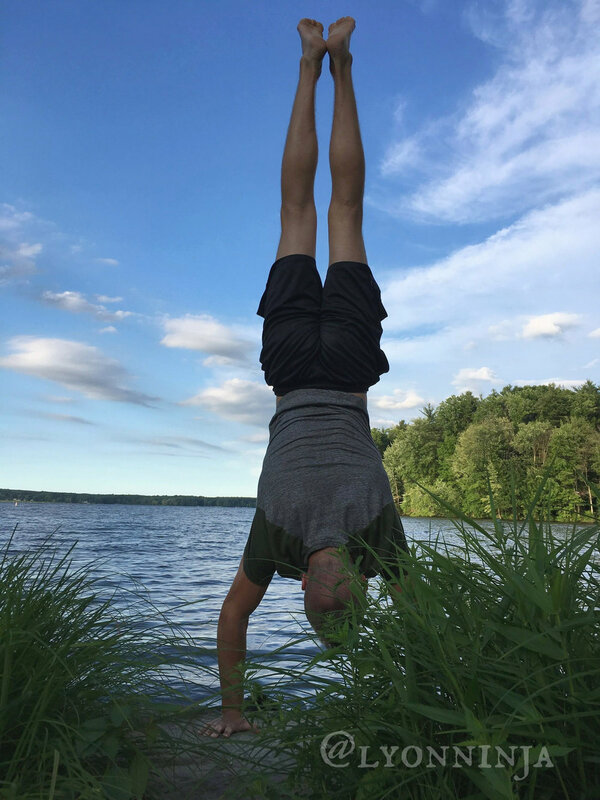 My name is Leo and I am a ANW athlete and coach. I started watching Ninja Warrior with my family during Season 2 and have been interested ever since. About 3 years ago, I began training regularly and now work at a Ninja gym while competing (successfully) at regional competitions. I am a also a dedicated volleyball player and love playing guitar. I am striving for greatness in mind, body, and soul. I have achieved many of the goals I have set in the last few years with hard work, focus, and passion and I want to help you reach your goals as well. Above all, I try to advance through all the challenges of life with the mindset of a Lion while giving SOLI DEO GLORIA -- Glory to God alone. Throughout my fitness journey, I have found many tools and accessories which have been of benefit to my training. I’ve compiled a list of some of those items on this page to help out as many new Ninja Warriors-in-training as I can. Some of the products here are things I use daily. Others are just super fun accessories for American Ninja Warrior superfans. Reach out me with any questions and follow me on Instagram! Chalk is helpful for every Ninja whether beginner or expert and even the youngest kids in my classes appreciate having it. It allows you to grip a bar or obstacle without as much risk of tearing the skin. My preferred gym chalk is the Chunky Texture chalk from Gorilla Grip. I like the chunky texture over the fine because it isn’t as prone to scattering and I find that less is wasted. (Unless your little brother gets into it… see pic below!) Also, if I am not able to carry my chalk bag with me, during a competition or other event, the chunks hold together better in a mesh pocket. I can always quickly crush the chunk into powder and not as much is lost. There is no question that Ninja hands can take a beating but protective gloves aren’t an ideal option since they restrict grip performance. I have found that these single use Athletic Grips are an economical, streamlined, and easy way to protect my hands during a training session. They adhere tightly to your hands and can be purchased in sets of 10 or 20. Sorry about the pic…. I really don’t mean to gross you out. Just trying to highlight why some kind of hand protection for training can be beneficial. While the hand grips above are ideal for an intermediate or advanced Ninja, gloves can be a beginner’s best friend. These grip-enhancing gloves help protect hands while the hands develop the necessary strength to complete obstacles. 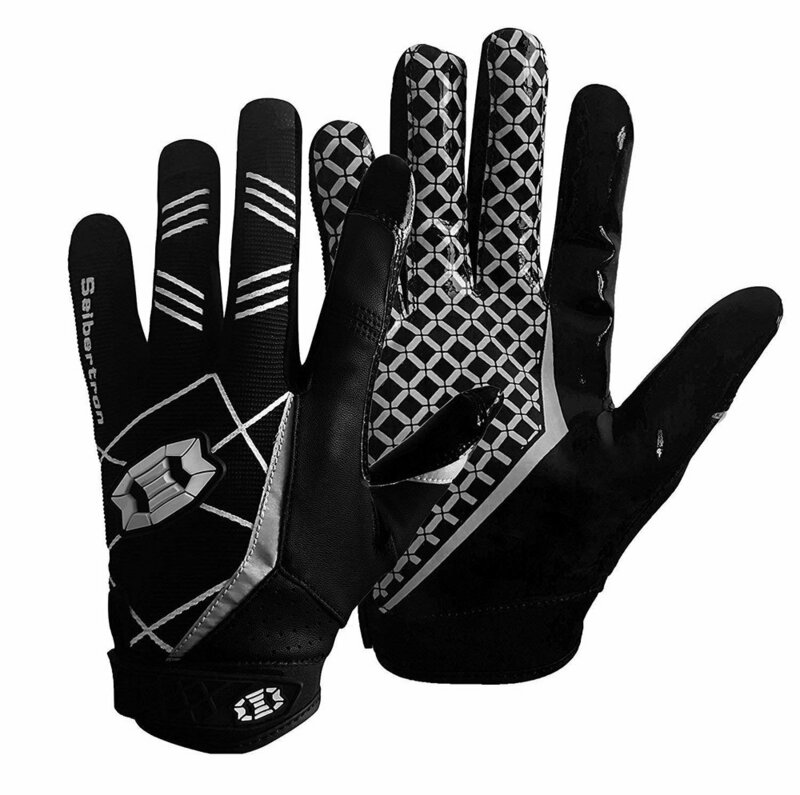 These wide receiver football gloves are ideal because they are tight fitting and made to grip. A Gibbon slackline is a must-have for any Ninja! Not only will this improve your overall balance and athleticism, but slacklines are often used as obstacles in competitions. Slacklines are portable, easy set up anywhere there are trees or stable pole or beam. All ages enjoy slacklines and Gibbon is an industry leader and my personal favorite. During the cold weather, I bring mine to the gym and set it up between obstacles. This Deluxe Ninjaline has everything that a young Ninja needs to get started in their own backyard. The 9 obstacle Ninjaline comes with 17 pockets to allow for unique customization to suit your training needs. Hang the 34' solid line of 2" Slackline webbing between 2 posts or healthy trees. You can spread obstacles out or add additional more difficult items to help you train. It’s harder than it looks but this portable setup makes a really fun gift and addition to an active household and Ninja collection. 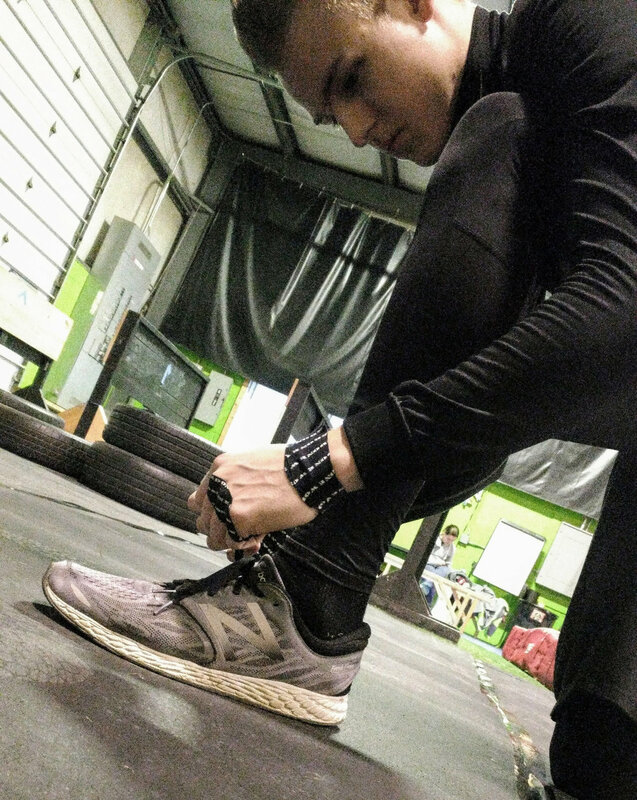 Every Ninja has his or her favorite training and competition shoes and each athlete has to decide what works best with their body. These New Balance Fresh Foam shoes are my current personal favorites. They are extremely lightweight and comfortable with great-gripping soles. These are great for training grip strength. These hanging ball grips are portable and can be hung from a Ninjaline or slackline or even a pull-up bar. Like the balls, these grips are a great portable training tool that can be used at home, outside or in the gym. Pack in your bag and hang them from a pull-up bar or slackline. These Gymnast Rings have gone everywhere with me and hung from everything from a tree branch to playground equipment. They are a simple and versatile training tool. Sweet and simple. This ANW logo bag is the one that I carry with me to the gym every day. It can hold my chalk bag, shoes, and miscellaneous items. As you can see, I added a little info to mine since Ninjas love to connect and share training tips! Recovery is one of the most important aspects of athletic training. Instead of popping Advil or Tylenol for soreness and inflammation, I prefer more natural (and powerful) tools which don’t harm my body. Over-the-counter-drugs and pharmaceuticals should have a very limited place in an athlete’s life since the side effects can cause short and long term damage to the body. For most needs, I use a topical cream called Deep Blue which is based on safe and effective plant oils. Powerful stuff without damaging the stomach or suppressing the immune system! And it is used by countless professional, Olympic, and collegiate athletes around the world. Give me a shout through the form above for more info and to purchase. All the stuff before this section can be used for kids as well! I’ve just put together some things below that will be of particular interest to younger kids for parties, fun competition, or just enjoying being fans of the sport. Ninja Warrior is really a competition against yourself and the limits that you set. It is important to keep it healthy and fun… and can be a great way to challenge the whole family to keep moving! These big bounce balls with handles have been a family favorite of ours for the past 10 years - and this set is extra fun because the balls have the ANW logo on them are meant for racing! Perfect for kids whose muscle development doesn’t allow them to participate in strength activities for long. A more colorful kids’ version of the bag I have above. These ANW logo bags are a great minimalist add on for what really is a fantastic minimalist sport.